I've always loved snails being a keen gardener you'd think it would be the opposite but no! I have fond memories of collecting snails in the garden as a child studying them drawing them and racing them. A strange love you may think......but imagine my excitement when I came across a pattern for a crocheted snail. 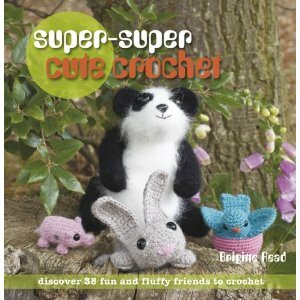 I love going to my local library I love the smell and the quiet atmosphere and I always come away with arm fulls of books usually craft books and among them this time I had "super-super cute crochet"
Or if your very lucky your local library! Still some snow in the back ground!